In loving memory of our dear mother. 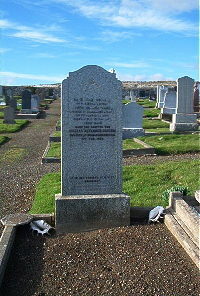 Catherine Ann Samuel died at Ellanmore Lybster 3rd February 1946 wife of John Bain. Adopted son William Alexander Macleod died at Mearnskirk 11th February 1950. Not goodbye if it is just goodnight.